I’ve been a bit lax in recent years – but after a recent house fire, just a few doors down from my house, my three-year neglected annual dryer maintenance suddenly took high priority. It was a quiet Friday evening, the day after Thanksgiving at about 7pm when I heard the sirens. Our street is peaceable, not much happens on it, so when I peeked out of the window and saw the red and blue emergency lights I pulled on a coat and shoes and went to investigate. Across the street and down at the corner, the firefighters were hard at work. Pretty soon they had the culprit out on the front lawn. It was a dryer, blackened with soot, still slightly smoking. A month later, my neighbors still haven’t been able to return to their home. The smoke, fire and water damage from the hoses was extensive and their front door remains boarded up while professionals clean and restore the guts of the house to make it livable again. That’s some serious statistics folks! I’d say we managed to haul out a good pound of lint. As you can see, I placed a paintbrush by it so that you could get a good idea of how much lint there was. 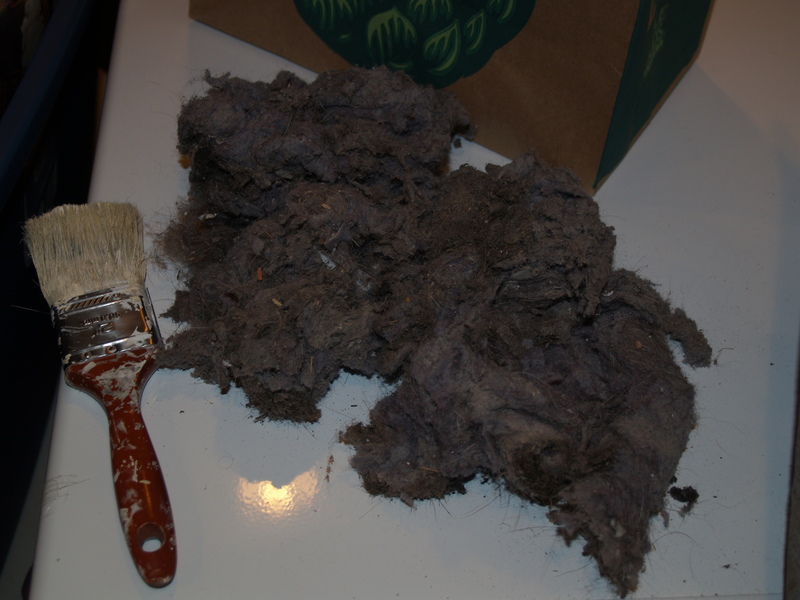 It’s easy to be fooled…you might think, “I clean out my lint trap with every load!” And well you should, but it still manages to get down into the machine, and catch on the flexible hosing that vents from your house. Dryers are hot, they have to be to dry our clothes quickly. So imagine what could happen with all of that heat and something as flammable as lint. And yes, lint is flammable. Keep in mind that survivalists often carry it as a handy, lightweight firestarter! #1 – UNPLUG your dryer and pull it away from the wall so you can access the back of it. #2 – Take a photograph of the back ( you may have to remove screws and plates, so keep track of where everything goes) or make a sketch. #4 – Make a note in Outlook or your Google calendar to do this again next year! Regular dryer maintenance will not only protect/prevent a dryer fire that could destroy your home and endanger your life, but it will also ensure that your dryer is performing at the most optimum level. Which means less drying time and less energy costs! Get to that dryer maintenance today! OMGosh!!! I thought I was doing good getting the lint off the lint-trap. That statistic really freaks me out!!! Thanks for the article!